Everyone likes to travel every once in awhile, and for a lucky few of us it’s a fulltime reality. However, time and money can get us bogged down, and the thought of a holiday ends up being just a dream. After booking a vacation, the cost of amenities can get too much and we have to cut down on those important hints of luxury as well. However, you can still travel when you only have a few bucks in the bank. So if you do have some time on your hands, here are a few suggestions of where to go when you only have a budget to live on for some time away from home. 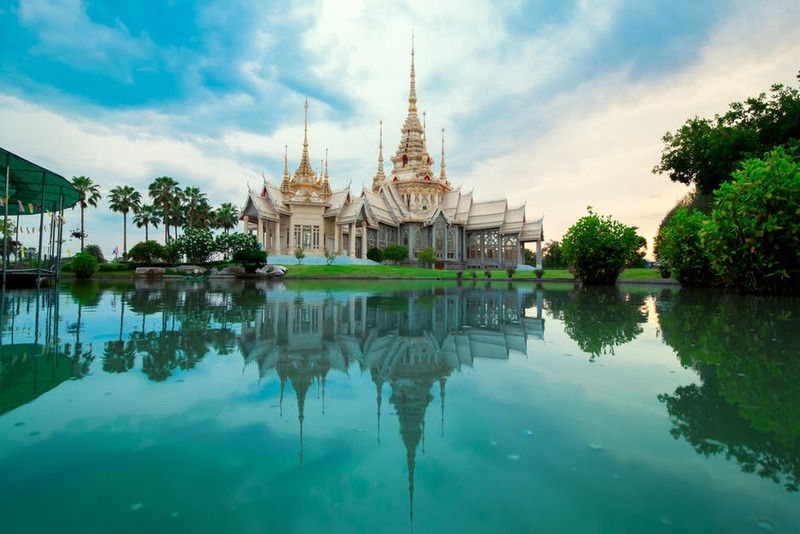 Thailand is popular with tourists for good reason. There’s plenty of locations to head off to including jungles and beaches, perfect for exercising your swimming skills or adventurous side. Taking a bite out of the street food is wonderful for the experience as well, with plenty more flavour then you’d get at home. Visit the Phi Phi Islands in affordable and fun speed boat trips. Try your hand at rock climbing, or even get a tattoo from one of the local shops in remembrance of your time away. As Thailand is tourist hotspot number one, sites such as DontPayFull.com have plenty of offers and coupons when it comes to finding places to stay, and even for booking a package holiday itself. Use the internet to your advantage and scour for some deals that will be a godsend for rolling in the little money you have to indulge your adventurous side. Tourism to Greece has increased by 6.6 percent in 2017 alone. The recent economic crisis in Greece is a reason in itself to head over there on holiday. You’ll be supporting its economy with one of the main ways all countries make money: tourism. Every dollar you spend is a step in the right direction, and there will be more deals when it comes to hotels and eating out. Greece is full of something for everyone, including historical hot spots and beaches. This appeals to the mythical side in all of us, so go and discover the origins of Zeus himself. Similarly, Greece has perfect climate temperatures all year round, so for Christmas this year head down to the beaches. Having a good vacation is all dependent on what you do with it. So when a colleague comes into the office with tales of their trip away, don’t be jealous. Have culturally enriched tales of your own holiday to share. Visit landmarks and shopping districts to take the best photos and find the best deals. You can even roadtrip cheaply with just a good friend and some sleeping bags in the back. Eating out of gas stations and convenience stores is already a staple of student life, so do it in style this year.